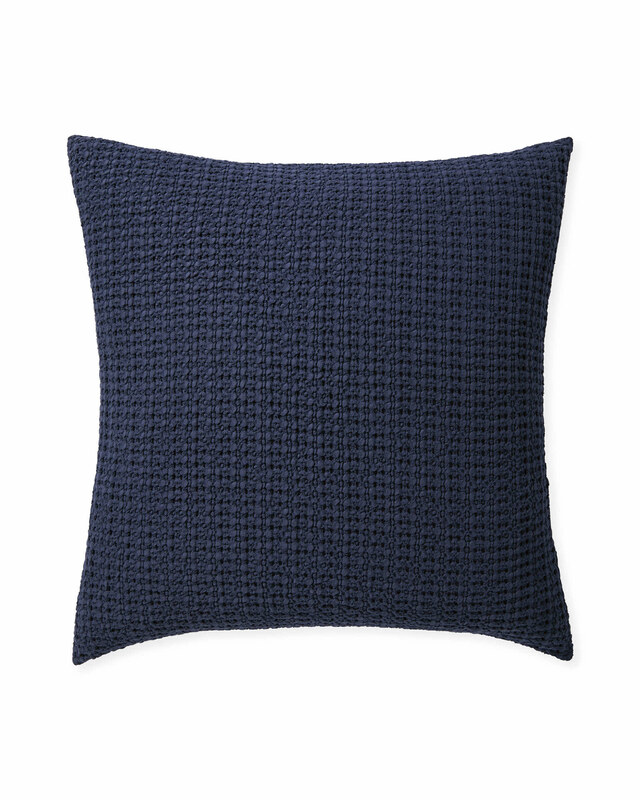 Montauk ShamsMontauk Shams, Navy alt="Montauk Shams, Navy"
Print The matelassé weave that graces the front of this pillow gives it beautiful texture that stands on its own. 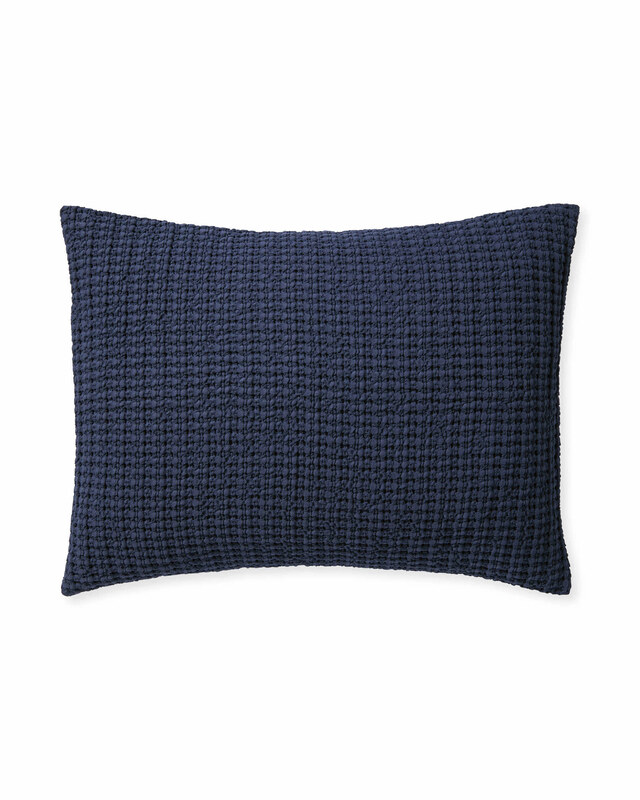 With smooth, washed percale on the back, it's a wonderful accent you'll want to keep close. Back is 100% cotton percale. This piece was garment-dyed and then washed, resulting in a soft texture with subtle tonal variations.